Bodyflight Stockholm is a custom designed single loop recirculating wind tunnel built on the site of an old brewery in Stockholm, Sweden. As of late April 2015, the tunnel is officially open! The tunnel is also known as Bodyflight STHLM. Browse all Tunnels in Sweden or expand your search worldwide. Probably the best air in the world, the marketing guy took me around in this awesome tunnel. Just visit it for a drop-by was stunning! I´m for sure coming for some personal flying for myself and the next trip with colleagues as well. 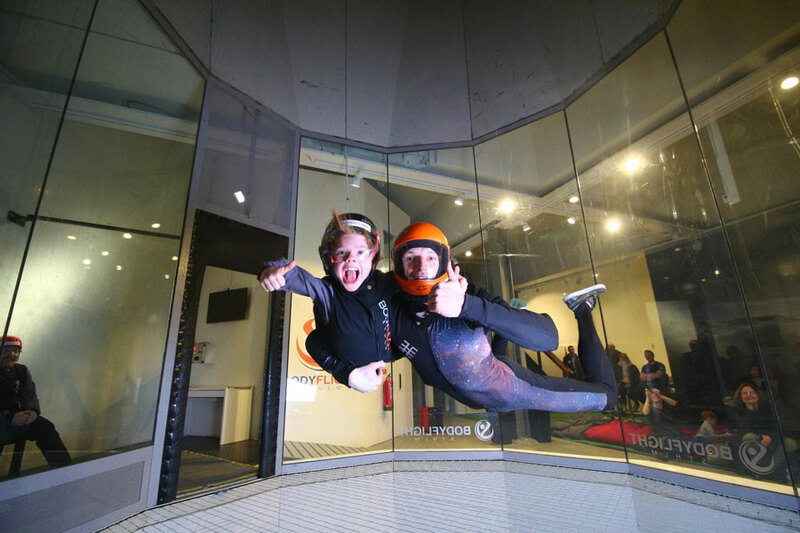 Welcome to Bodyflight Stockholm, the worlds highest wind tunnel and the only indoor skydiving facility in Sweden. Come and try Stockholm's funnest activity, everyone can fly! The perfect event for bachelor parties, birthdays or just if you and your friends or family want to try some thing out of the ordinary. Our experienced instructors will give you a brief about basic flying skills and safety, then you will be provided with all the gear needed (suit, helmet, googles and earplugs). Now it´s time to fly and enjoy the unique feeling of maneuvering your body in freefall. The full experience takes about 1,5-2 hours. Price from 695SEK. See you soon at Bodyflight Stockholm in Stockholm Bromma!